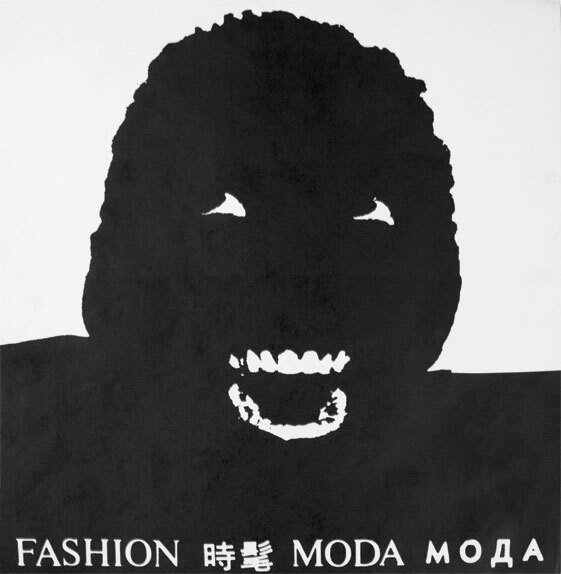 Stefan Eins, Fashion Moda, poster, 1980; design by Stefan Eins featuring a high contrast image of John Ahearn’s cast plaster bust of David Ortiz; offset print, 13 x 13 ½ in. In 1980 Eins created designs for twelve Fashion Moda posters of which only four were actually printed. The posters quickly caught the eye of the art world and were featured in an Artforum article in January 1981 titled “Some Posters from Fashion Moda.” More recently this poster was included in the Museum of Modern Art exhibition “Looking at Music: Side 2,” 2009.